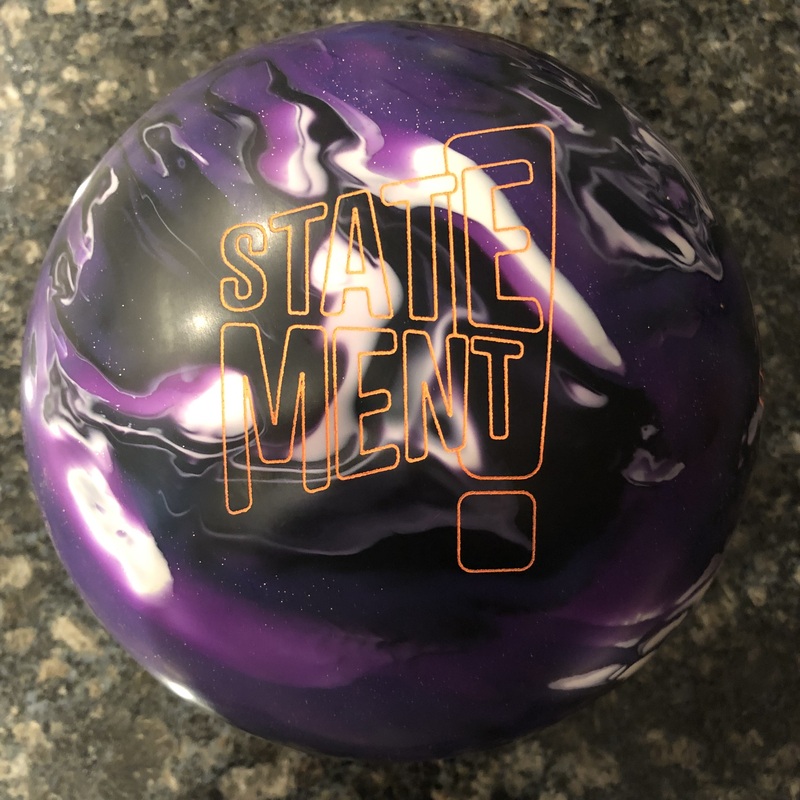 Kyle Hartzell of BowlerX and Eric Filipovits test the Storm Marvel Pearl. The testing was performed on a medium house tapered shot. Kyle launches the ball just over 17.5 mph and the ball enters the pocket at just over 16 mph. 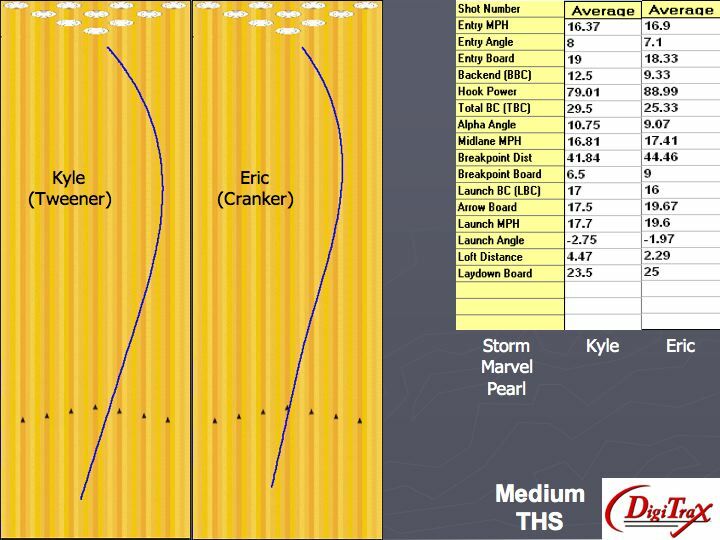 He’s targeting 18 out to 7 at the breakpoint of about 42 ft. Kyle is able to generate a whopping 8 degrees of entry angle! Above the very high entry angle, the ball is pretty smooth and controllable. 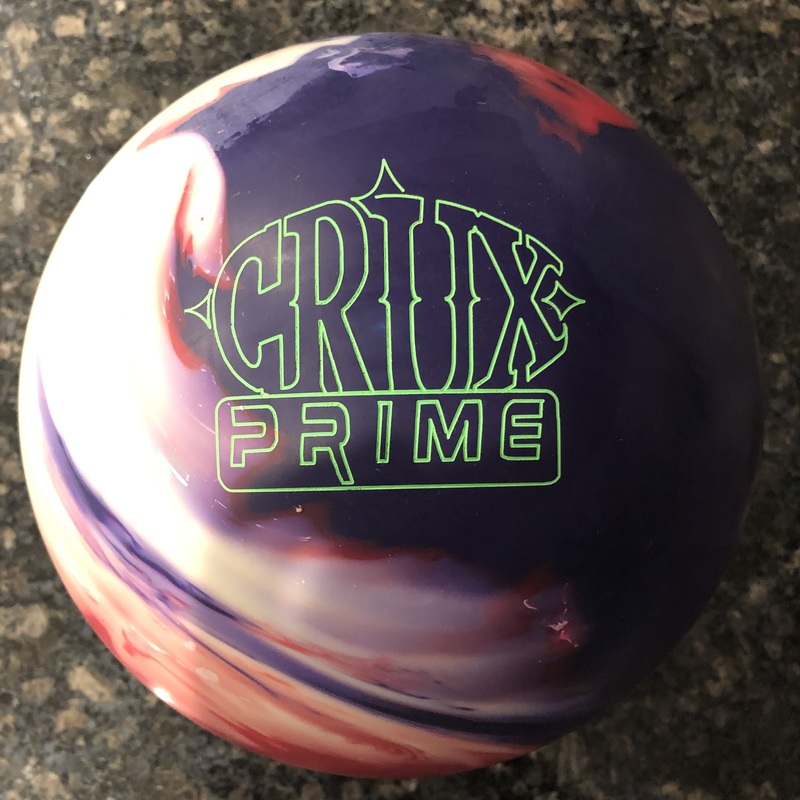 The Marvel Pearl is a strong ball that has a nice readable roll which is a characteristic of it’s core, yet with the combination of the R2X Pearl, the ball generates a very strong booming move while being predictable. Kyle loved the reaction from the very first ball he threw. You can see the hook power at 79, which you could compare to other balls tested in the same session (see Digitrax analysis for Critical Theory, Victory Road Solid, 919C, Bandit, and Outlaw). For Eric, this ball hooks even more. Looking at the hook power for Eric, it’s at 89. Again, this can be compared to other balls thrown in this session. While he normally cuts down entry angle by playing deep, he was generating 7.1 degrees of entry angle with the Storm Marvel Pearl. He’s playing 20 to 9 at a breakpoint of 44.5. When the breakpoint is that deep, usually you don’t have enough feet to the pocket left to generate such a strong entry angle but that’s what the Marvel Pearl did. 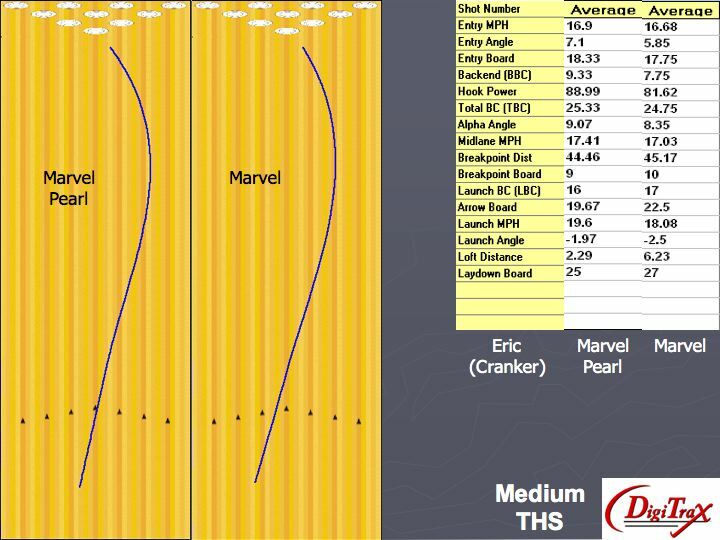 Above is Eric’s comparison of the Marvel Pearl to the original Marvel. What you will see is that the Marvel has a lot more traction so requires Eric to get even deeper to 23. He moved his breakpoint in to 10 and generated just under 6 degrees of entry angle. This is to be expected. Comparing the hook power is a little tricky because he’s got to play so deep to get it to the pocket. 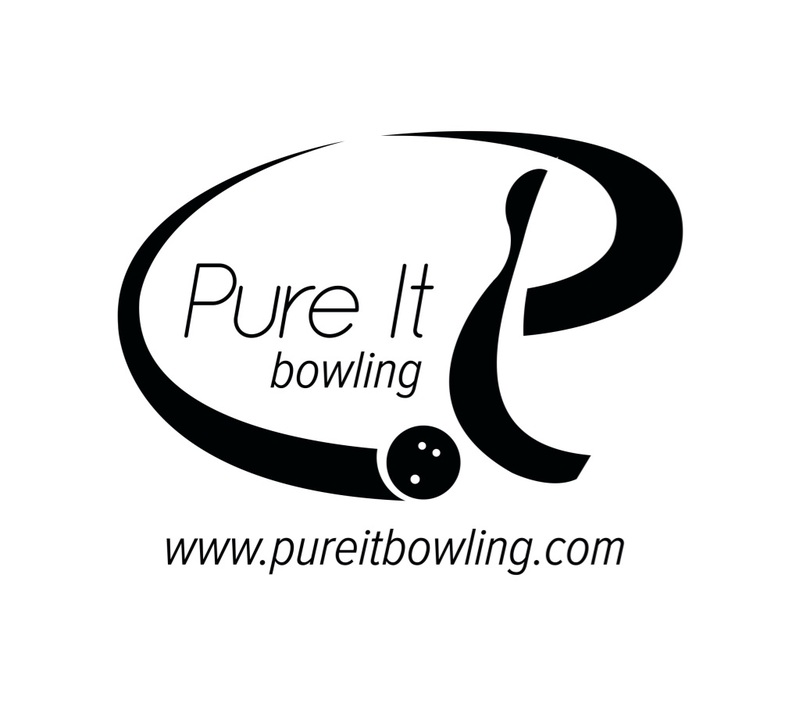 Bottom line, the Marvel Pearl is a “stronger” ball as it is simply more suited to this condition. The Storm Marvel Pearl is versatile enough to be used on medium-heavy to medium-light conditions. It is even usable on the burn. 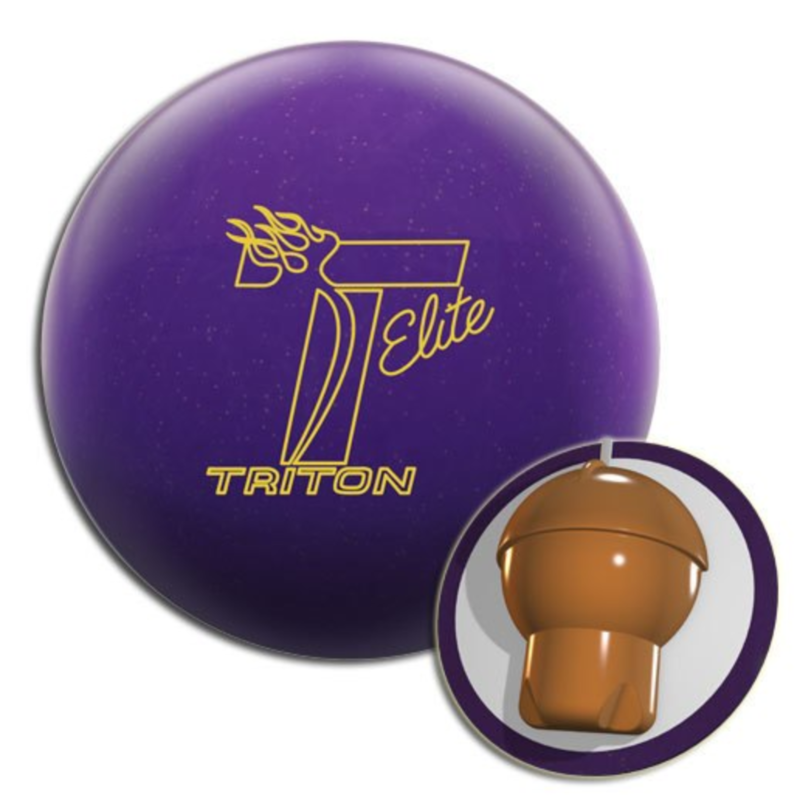 This ball makes a very strong yet predictable motion. It’s not a skid/flip ball reaction but makes a strong move and is extremely continuous. Don’t forget to check out the complete review and video of the Storm Marvel Pearl.